One of my goals for the New Year was to take better care of my skin, so I got myself into a daily skin care routine. When the Saranghae team reached out to me about sending me their 5 Step Routine I was all for it, after doing some research on their unique ingredients of course. I'm 22 so an anti aging skincare regimen wasn't necessarily on the top of my list, but I know it's also never too early to start. 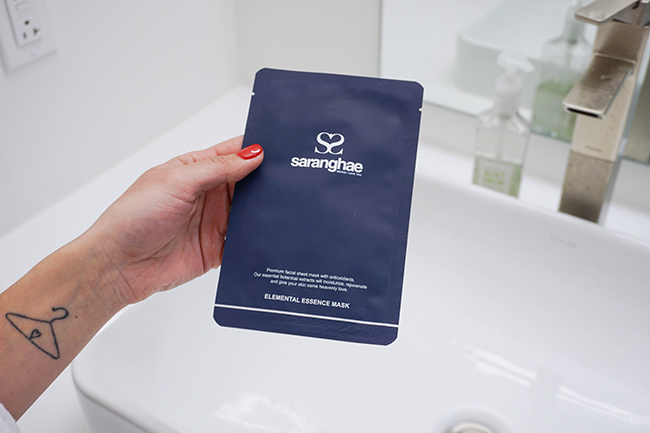 I've been using the Saranghae Skin Care Routine since I unboxed it, so today I'm reviewing it for you all. This cleanser is so good! I've read reviews where people used this product to also remove their makeup, while it works great for removing foundations and concealers, I was never too fond of using products like this to remove eye makeup. Works for some, but I find that it always burns my eyes. Personally, I prefer to remove all my makeup with makeup wipes and then use this product. However, this product does wonders for my face! And it smells good. After using this product my face is left non-oily and soft. This Serum was light, which I liked. It also didn't leave my face feeling oily. This serum is meant to help balance your skin's potential hydrogen level to prevent flair ups, inflammation, and break outs. I've been having trouble with break outs lately and since starting this routine, I've had one break out. When I started using this routine I stopped using all my other face products to see the full affects these products had. When I combine this serum with my other products, I think they're going to work great together. Just like the serum, this cream was light and left my face feeling hydrated and smooth. However, the scent wasn't my favorite. It was something I could get past though because I enjoyed this product. I have dark circles, bags, and wrinkles under my eyes--something I was lucky enough to inherit. So using an anti aging eye cream has been something I've been wanting to start using for awhile. Safe to say I was excited to get my hands on this. I'll be honest I haven't seen any results so far, other than the fact that my under eyes stay hydrated. I use to get dry spots under them here and there all the time. But, I've only been using this product for a week. I'll definitely continue to use this eye cream to see if it has any other positive affects. I used my first mask last night and I loved it! It smelt so good and my face felt refreshed and hydrated afterwards. I'm going to incorporate these masks into my weekly skin care routine. Overall, I think this was a great skin care routine. Typically every morning I wake up and my face is oily, but since starting this I wake up with smooth, non-oily skin every morning. I'm interested to see how this product works long term in combination with other skin care products I love. I'll share an updated review after a full month with these products. 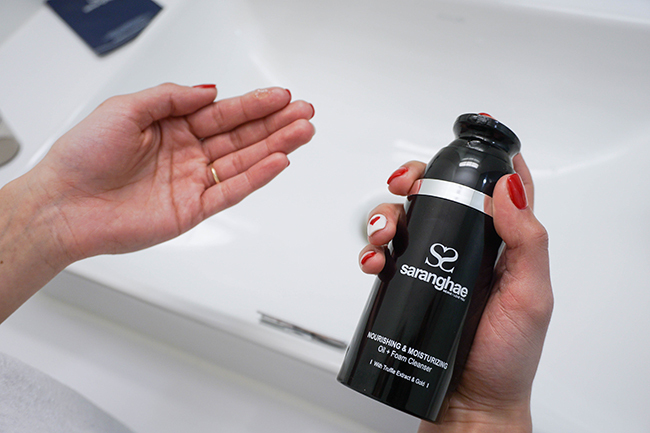 Saranghae is an award winning Korean 5 Step Anti-Aging skin care routine that heals, regenerates and protects your skin. Saranghae’s focus on natural ingredients, highly effective products and excellence in customer service has helped them become the fastest growing Korean skin care brand in the UnitedStates. * All thoughts/reviews on this product are my own.